Vocational Education and Training (VET) is of great importance for one’s professional development; both on the work-based learning level, in order to prepare one for the labour market, and on the level of improving one’s skills, so as to become more competitive. Apart from that, or rather because of that, VET is EU’s “tool” to maintain its high competitiveness, within a globalized and intensely competitive environment, as it is noted in the relevant Cedefop research1. However, even though VET’s significance is widely recognized, there are member states that have not achieved the goals set by the EU. Therefore, European policies have developed certain action plans, to make the EU citizens more aware of VET’s importance. In order such actions to be successful, we have to know what the EU citizens think about VET. Such knowledge contributes significantly to the shaping of more efficient ways to inform the citizens regarding VET and, consequently, increase their participation in it. For that reason, Cedefop made an opinion survey, which covered 35,646 EU citizens that belong to various social and demographic groups, aged 15 years and older. 86% has heard of VET before the interview (71% said it both heard and knew what it is). When asked about several aspects of VET, they usually associate it with the preparation for a specific occupation, or with a working or school environment. In addition, it was associated with continuous professional development. 48% of those who had received primarily general education said that they had received information about VET when they were deciding on upper secondary education. Three out of four (72%) that followed VET said that they had taken information about it before their decision. One out of four who followed general education said that he/she was advised against VET, but the proportion varies from country to country (Hungary has the highest proportion, 51%, while the Netherlands has the lowest, 9%). Most of them (86%) agree that in VET one learns skill needed by employers. 67% said that VET leads to finding a job quickly, while 61% said that VET leads to well-paid jobs. 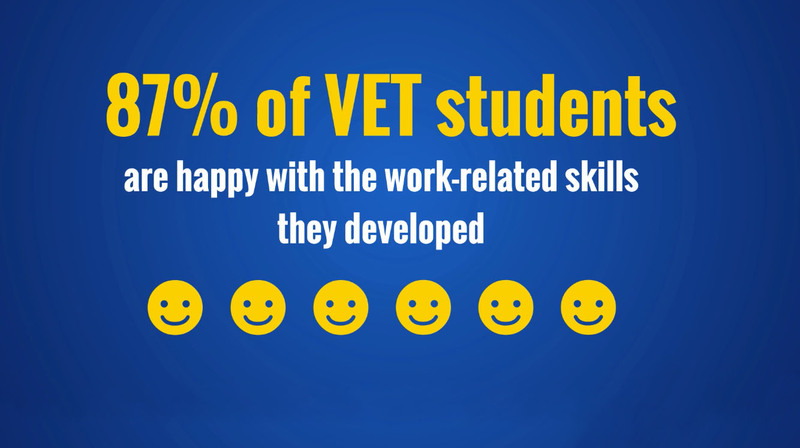 In sum, the survey revealed that there is a positive attitude towards VET in all EU member states, especially regarding the acquisition of relevant professional skills. Particularly, in periods of crisis, when unemployment leads to professional inactivity, VET is an efficient way to re-enter the labour market. 1 Cedefop, Cedefop European Public Opinion Survey on Vocational Education and Training, Luxembourg: Publications Office of the European Union, 2017.